AT&T users who have been tethering their phones' data plans under the radar (either using MyWi on a jailbroken iPhone, or one of many apps like Wireless Tether for Root Users on a rooted Android phone) have been receiving a little nudge from AT&T asking them to sign up for a tethering plan - or face possibly getting signed up for it without consent. In a lengthy email, AT&T writes "Tethering can be an efficient way for our customers to enjoy the benefits of AT&T’s mobile broadband network and use more than one device to stay in touch with important people and information. To take advantage of this feature, we require that in addition to a data plan, you also have a tethering plan. Our records show that you use this capability, but are not subscribed to our tethering plan." It isn't clear what methodology the carrier is using to detect the tethering, but other sources report that they have been correct in their assessments (the obvious guess would be that is has to do with using large amounts of data that a phone would be unlikely to download). It seems that nearly every situation where a product being sold is composed of data eventually brings up a different version of the same argument: the seller wants to control and regulate what you do with that data, customers want to be free to do what they want with the data they paid for. You have seen it with DRM in books, music and games, the question of whether it's legal to make your own digital copies of various media, all the way up to the grand net neutrality argument with internet providers. 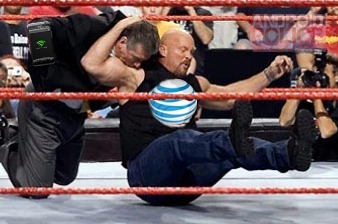 One more iteration of that same fight comes in this form, regarding using your data plan for tethering or not. We expect the legality of it all to be just as muddy and ambiguous as it is with other situations, but AT&T has made it clear where they stand - and they appear prepared to enforce it (I can see lawsuits being drafted up already).